Ricoh has helped lead the way in information mobility since the company was founded in 1936. Operating in dozens of countries today, they develop technology that improves the way businesses capture, manage, print and access data. 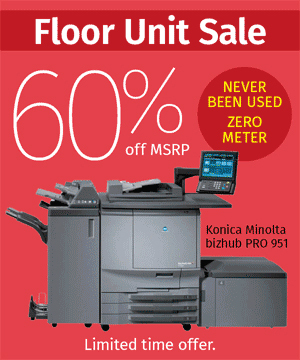 Konica Minolta’s lines of printers and other office equipment have received several awards over the years. Three of their bizhub PRESS print devices won Buyers Lab 2015 Pro Picks. From 2006-2014, Konica Minolta has won four BLI Line of the Year Awards and 28 Pick of the Year Awards. 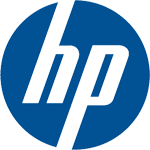 One of the most recognized and respected names in IT, HP’s products will help you optimize your printing and document management solutions. In 2014, the company ranked #36 on Forbes’s list of the World’s Most Valuable Brands. Lexmark’s products have benefitted companies in a variety of industries, including retail, manufacturing, education and government. Their multifunction printers’ high monthly print volumes and fast scan and fax speeds will give you the documents you need and more. Systel’s selection of electronic whiteboards, fax machines and scanners from Panasonic will enable you to boost your imagining and document distribution capabilities. To learn more about Systel and our technology partners, contact us.